It’s been awhile since I last posted! We are really enjoying our summer and have been busy getting ready for baby #2. 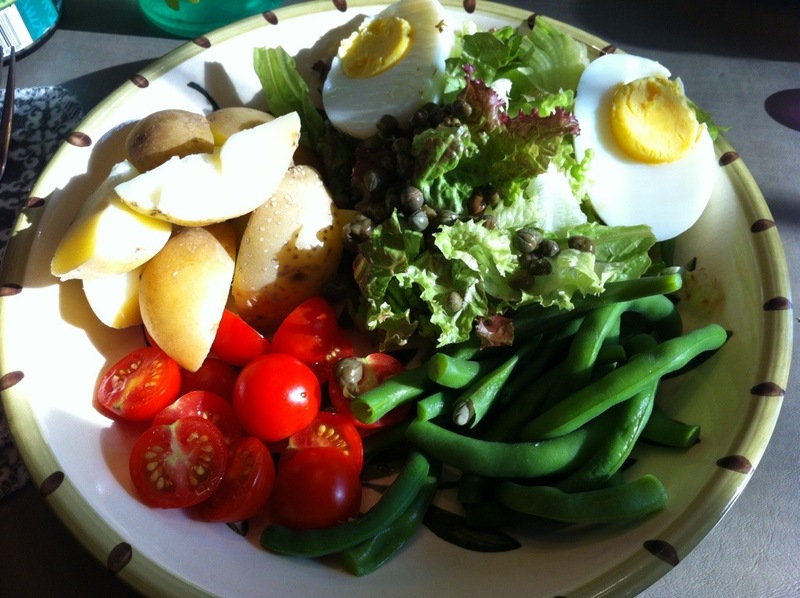 I thought I would share a quick post today on what’s becoming one of my favorite summer dinners – Salad Niçoise. I love that most of the ingredients can be found at the local farmers market where fresh produce is in abundance these days. In our salad the green beans and cherry tomatoes came from our backyard garden. The potatoes and eggs were purchased from local farmers. The lettuce, capers and dressing ingredients came from the store. We’ve had this twice and I’ve enjoyed it immensely both times. I’m sure it will be on the menu again soon.